A Drawer full of Corkscrews! Actually, we didn’t leave, we have just been busy the last few days, and with other chores calling, tending to the blog had to take a back burner. Still, there was some corkscrewing around. The Hagenauer pups arrived the other day, and the corkscrew is in much nicer shape than expected. And, the usual suspects have been making enquiries as to whether it would be available for sale or trade. Will it be sold or traded? Thus far the offers have been pretty attractive–there have been multiple offers! Feel free to up the ante boys! Of course, with July waning, and August approaching, much of our attention is focusing on the upcoming ICCA and CCCC meetings. What corkscrews to bring? 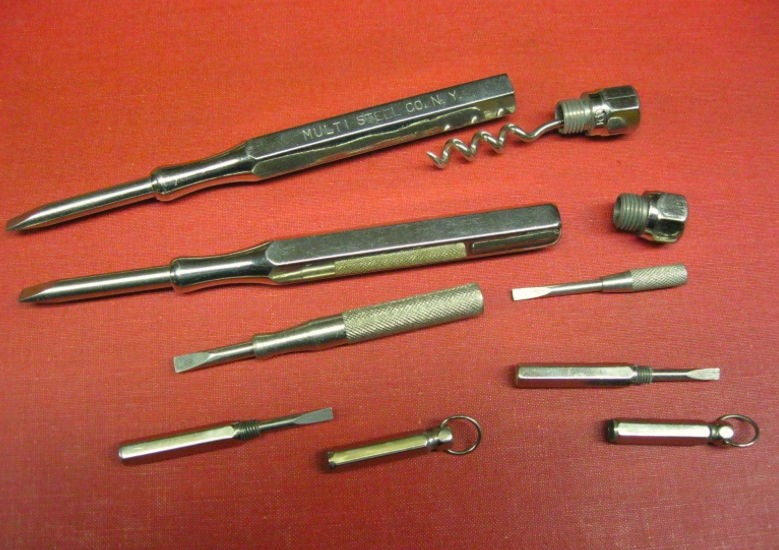 What corkscrews to bring to the show and tell? 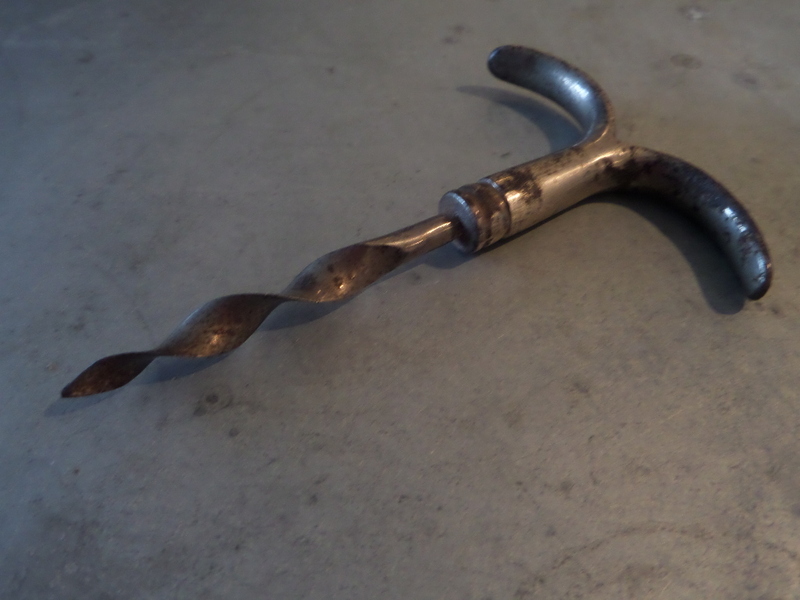 What corkscrews to bring for the live auction? 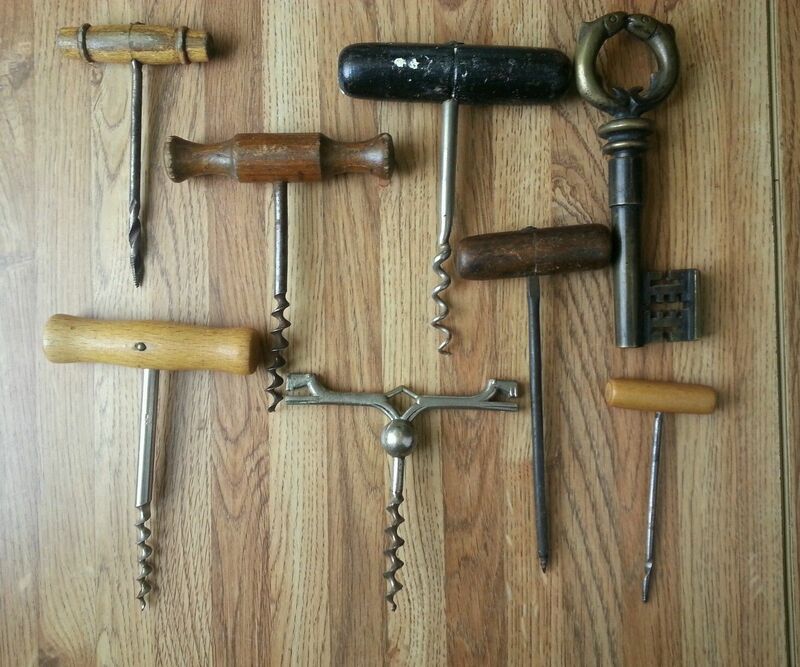 What corkscrews to bring to the buy and sell? 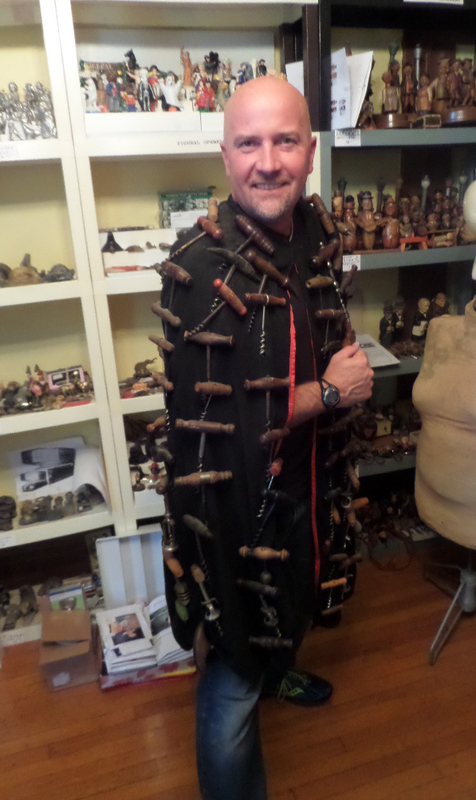 And, of course, most importantly, what to wear? That said, one corkscrew definitely will be coming with us. 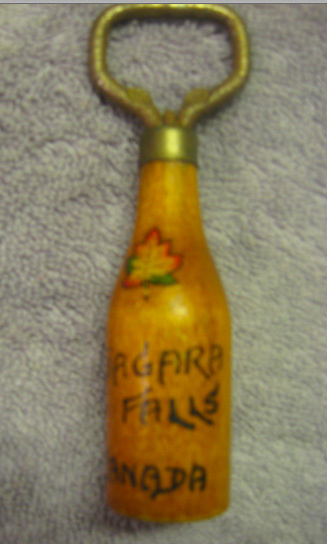 It is a simple wooden bottle figural sheath, and a souvenir for Niagara Falls, Canada. 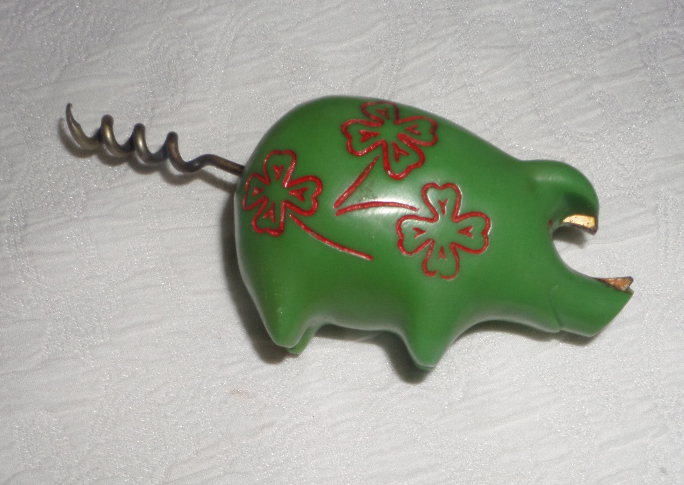 A fun and inexpensive piece to throw into the auction when we celebrate all things corkscrew in Niagara Falls in a couple of weeks. 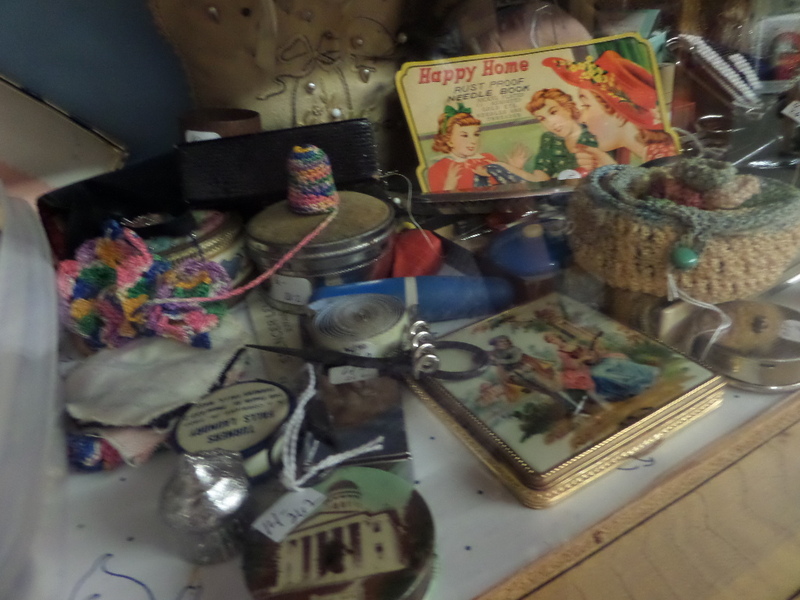 I was on the mainland yesterday running errands; dropping off suits at the dry cleaners, buying dog food for P-doggy, hardware store, weights for the lovely personal personal trainer’s fitness studio, etc., and in between I did manage to hit one antique store. Funny thing about this place. I have been traveling up and down the coast of Maine for years. 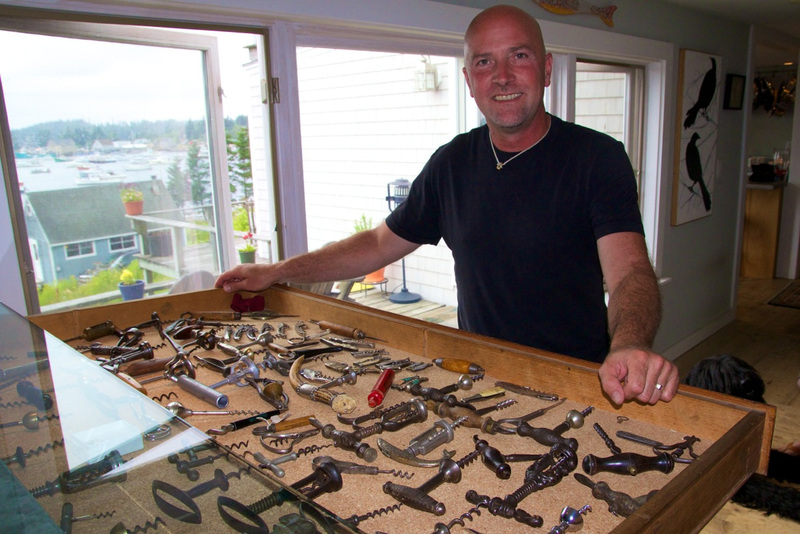 And, have been collecting corkscrews for just over 15 years, and in all my visits to this particular location, I have yet to buy a corkscrew there. And, it is a multi-dealer mall! Still, I keep going in, every hopeful. You just never know when one might turn up! 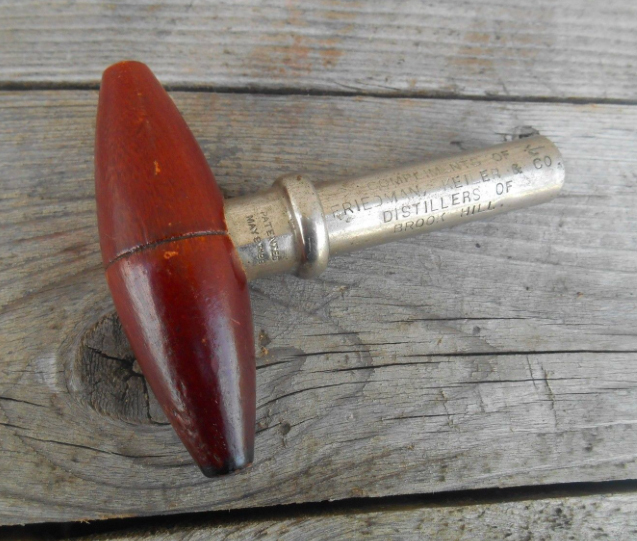 So, after searching the three floors of non-corkscrew related antiques, I headed back towards the boat, and whilst waiting inline to board saw an interesting listing on eBay. 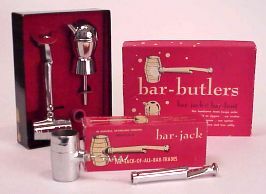 It was a group of corkscrews, with a buy it now of 28.99. As I saw it on my iPhone the photos were rather small, but in the grouping was an interesting looking direct pull. There was a better photo, that did show some of the detail. And, while it could be another maker, it certainly looked like a Hagenauer piece. And, at 28.99, how can you really go wrong. I clicked, and went back to the listing. There was an additional picture that showed some damage to the helix on the possible Hagenauer piece, but even still, how could I not snap it up. 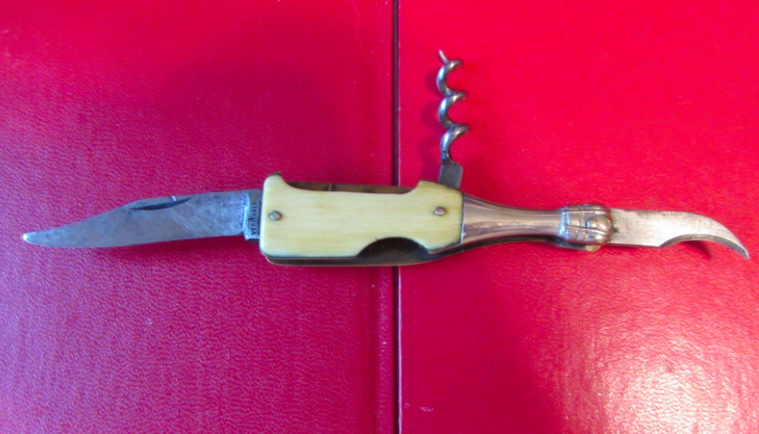 Last night, there as another interesting champagne knife with corkscrew that was ending with no bids. And, it looked interesting enough, and since I don’t have one, I threw out a bid–just over the opening price–and when I awoke this morning, I had apparently won. In looking at the photos, if you look closely you can make out VERITABLE, and I am guessing that when it arrives it will be marked VERITABLE SAUZEDE. I have no doubt the lovely lovely personal personal trainer will claim this one for her collection. 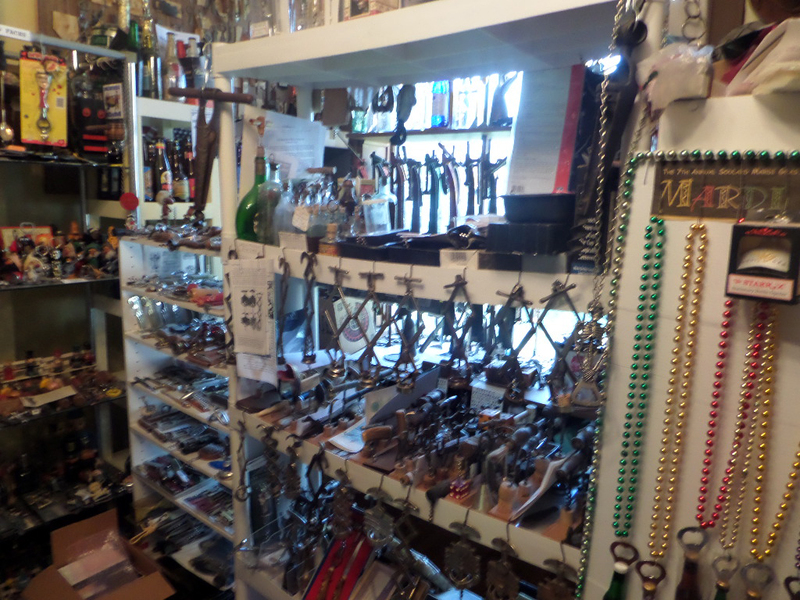 In St. Louis, I struck a deal for an unusual wall mount corkscrew. And, thus far I have yet to find any information about it. So, I am hoping by showing some more detailed photos, the corkscrew world might be able to give some assistance. But, has anyone ever seen a catalog from Anchor Products Inc? Might there be a wall mount somewhere pictured within one. 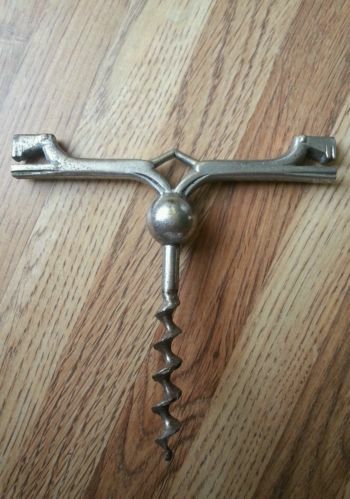 Has anyone ever seen this particular wall mount corkscrew before? 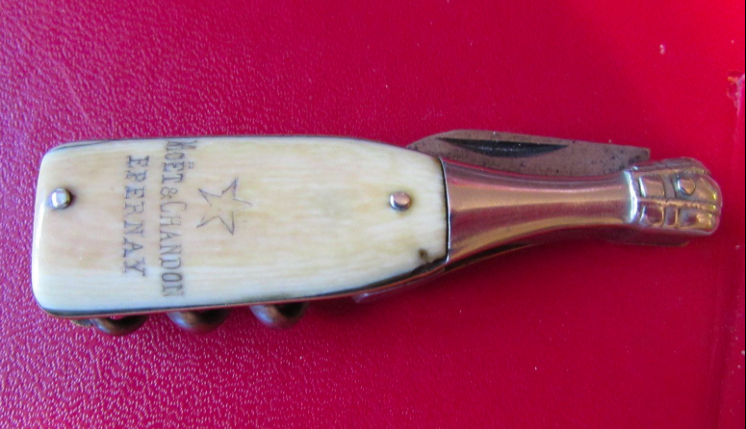 The other day, a Converse cork puller with advertising on the sheath was listed on eBay, and ultimately I ended up as one of the underbidders. As luck would have it, however, the winning bidder was none other than TC. 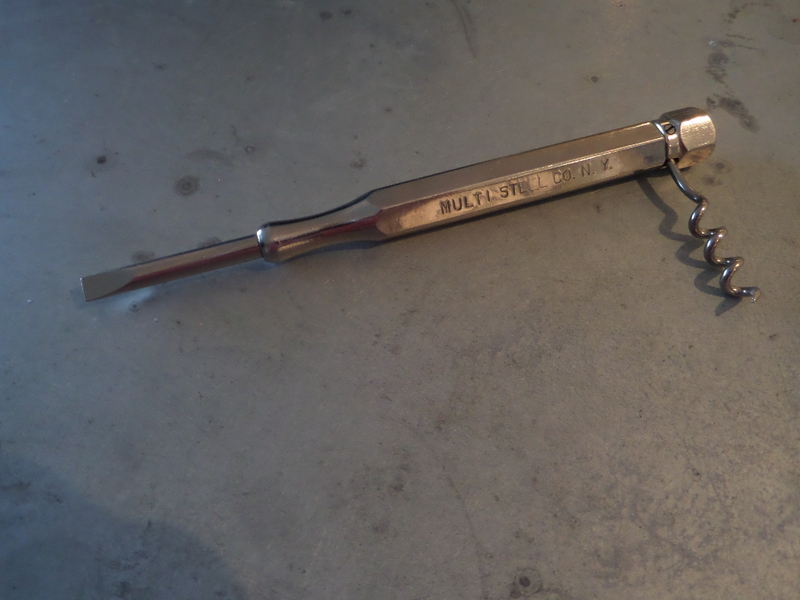 And, as he wanted the Williamson corkscrew with Williamson advertising that I picked up recently, while we were in St. Louis a trade was made. Tommy gets the Williamson Williamson, and I get the Friedman Converse. If you have a Converse with different advertising, please drop me a line, I am always willing to make a trade or two. And, if you would like to read more about Converse, feel free to check out my Maschil Converse page. After several airline delays on Sunday, I finally made it to St. Louis (after midnight). And, after a fairly long cab ride, I made it to the hotel where I would be staying for the next couple of days. Why St. Louis you ask? 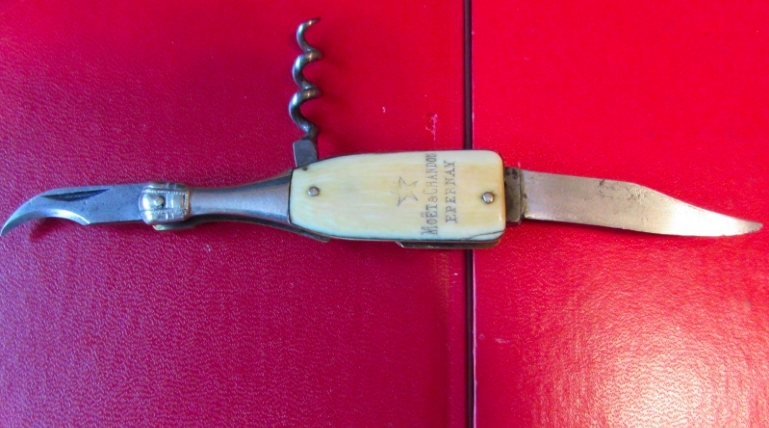 Well, after much discussion, and recognizing that it is often the case that I am being asked for appraisals for a myriad of items (not only corkscrews), and also recognizing that there are very few individuals in the U.S. that are certified appraisers specializing in corkscrews (for estate, insurance, and other purposes), I decided to go through the Certified Appraisers Guild of America program/courses and become a certified appraiser. As of yesterday afternoon, I am indeed part of their association and a certified personal property appraiser (and yes, specializing in corkscrews). 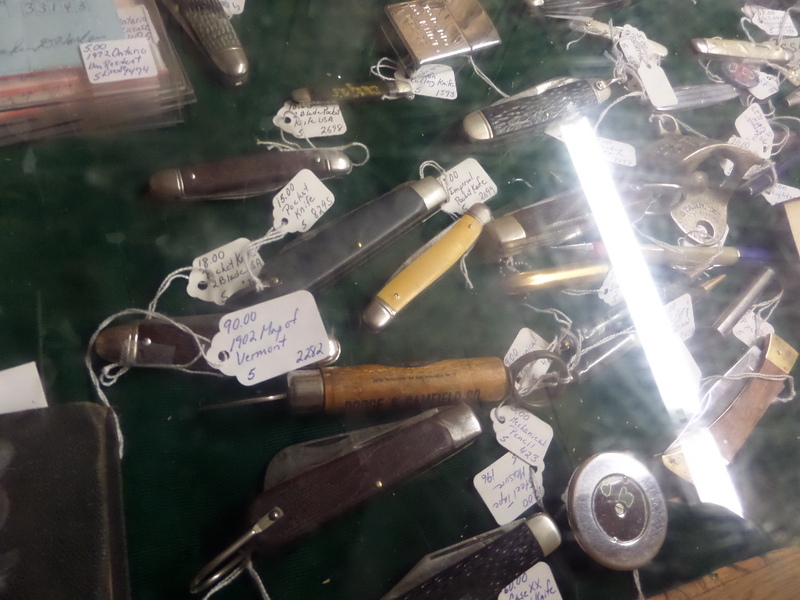 That said, since I was in Saint Louis, and since Tommy is only a few hours away in Chicago, and since the largest collection of bottle openers (and corkscrews) in the world is located in St. Louis, why not get TC down here and go visit the collection after the conference, and today we did. Now, I will preface this by explaining, that we were told after a little show and tell, that nothing was for sale. Still, it was great to see Art’s collection, and on every shelf, and in every corner, something amazing or unique would present itself. 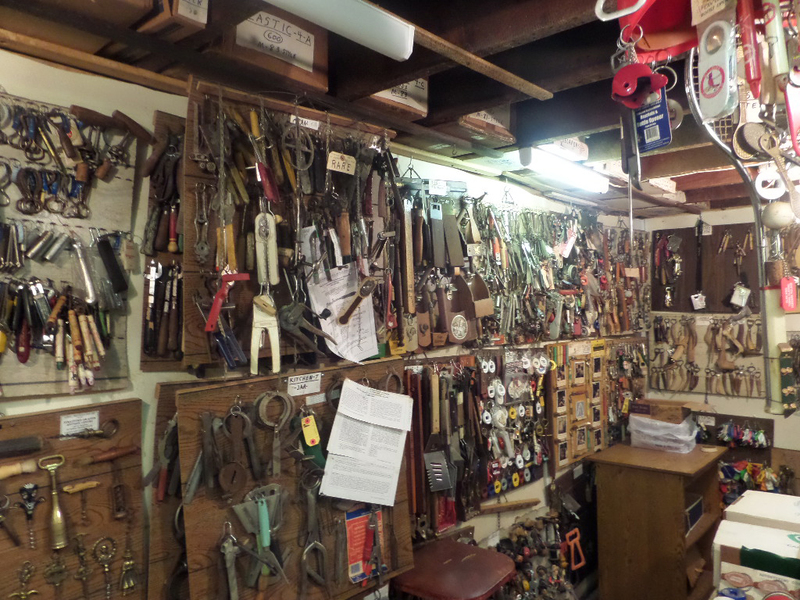 After a little looking around, and making inquiries, which were met with No, No, No, No, Nope, and no, we headed down to the basement, where we managed to find a box of “extra” corkscrews. Within that, I found an interesting wall mount that happened to be a double for Art. I told him I would take that one. 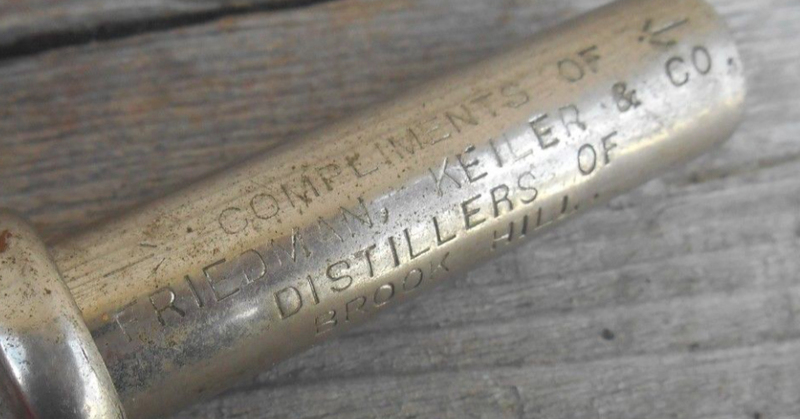 An odd looking piece, it has a manufacturer’s mark and a PAT PEND mark. I have never seen this one before, but we hadn’t yet discussed price. 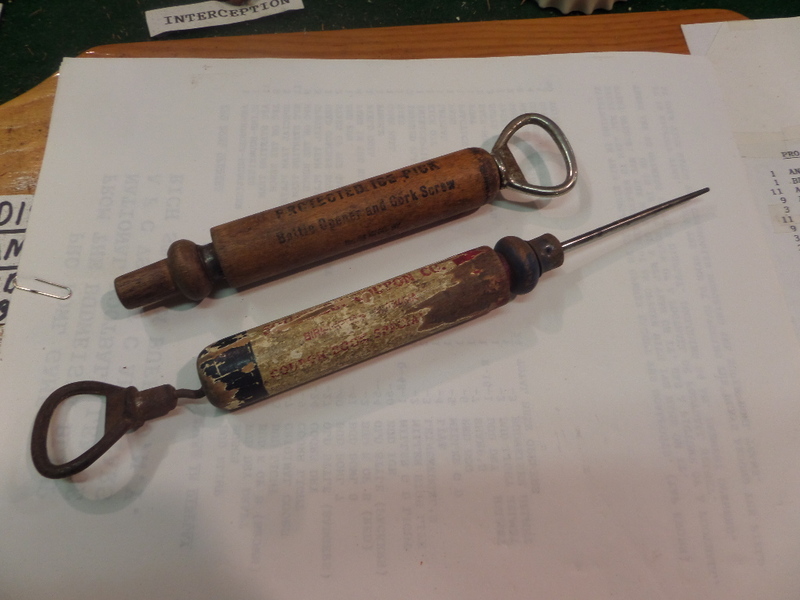 Then, as TC was rummaging through boxed, I found a box marked “Ice Picks with Corkscrews and Spoons.” Hoping that there might be another Paradise patent inside, I opened up the box. And, there wasn’t a single one. Nope, there were three! Three!!! I pulled them out, and asked if I could take pictures. He said, “of course,” and I proceeded with my photo shoot. 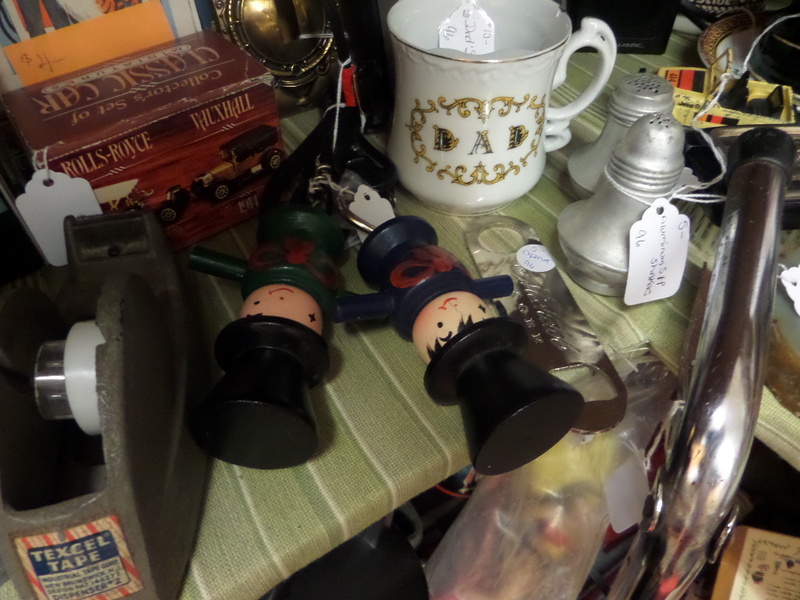 Shortly after, I put them back in their box, and put the box back on the shelf. As we continued the basement tour, I we looked at all kinds of wonderful things, but then I saw a fourth, YES, a FOURTH Paradise patent hanging on a display. Knowing that Art, was keen on keeping pieces that he only had one of, and was more willing to sell doubles, I decided to hit him up with an offer. Since he has four, how about parting with one? Of course, since he was willing to part with one, Tommy also had to get in on the action. And, he got in on the negotiations! 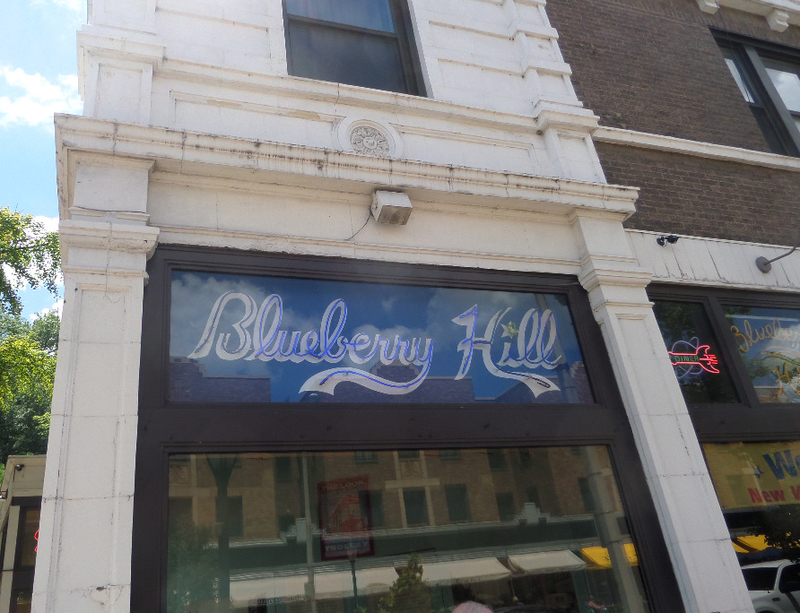 After a long and fun visit, we headed back upstairs, and struck a couple of small deals (including a green Ross piggy) and headed off (the three of us) to Blueberry Hill for lunch. 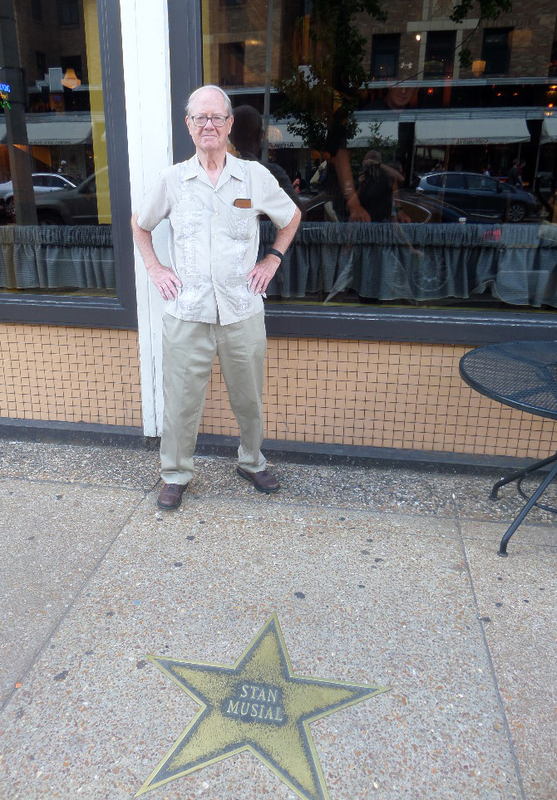 A good time was had by all, and it was a fun to visit with Art (who deserves his own star on the St. Louis sidewalk) and see his multiple collections! I will be hoping on the boat this morning, and heading west for a few days. Actually, I will only be heading west for a few hours, but I will be spending a few days in St. Louis (more on that later). And, given that I will be headed to the airport with a few extra hours to kill, I definitely will his some antique stores along the way. 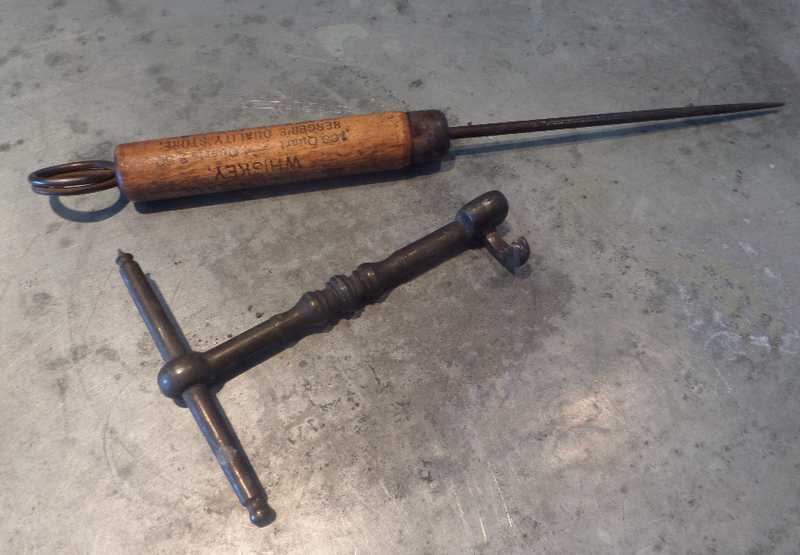 The corkscrews that were mentioned in the last couple of blogs have arrived, and both the multi-steel screwdriver and the broad helix Willet’s (unmarked by the way) are quite nice. Still no more information on the Multi Steel Co. from New York, but I will keep hunting. If any thing newsworthy turns up in my travels, I will report back here. Actually, if nothing newsworthy turns up in my travels I will still report back here. 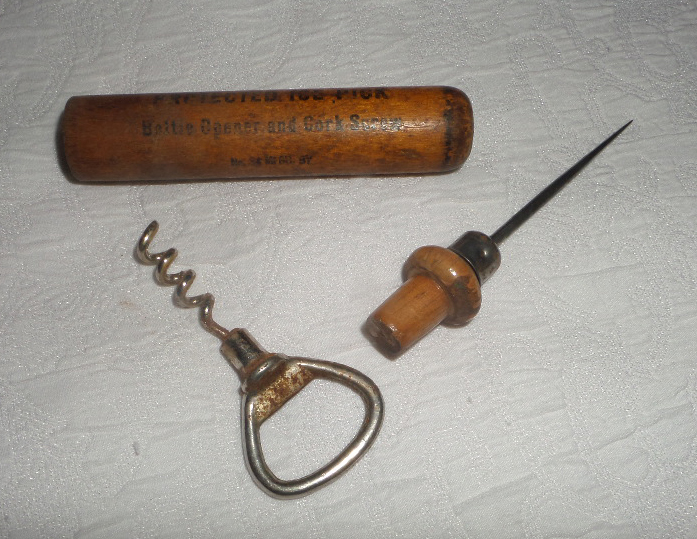 Not too long ago, there was an interesting collapsible screw driver with corkscrew end listed on eBay. And, I put it on my watch list, hoping that it first, would slip through unnoticed (by other than me), and secondly that in the meantime I would find out some information about it’s origins/timeframe etc. Included in the lot are some other nesting screwdrivers, but for obvious reasons the one with the corkscrew was the object of my interest and curiosity. 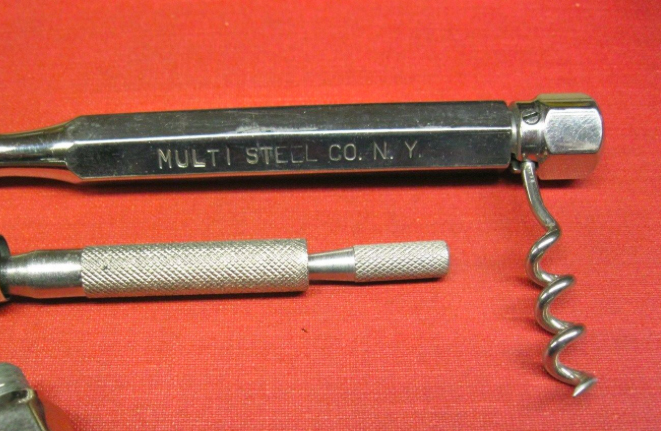 In doing a little research, I did find a reference for Multi Steel Co. N.Y. On May 22, 1932 James Thomas Whiteley of Dunellen, New Jersey was awarded patent 1,959,399. And, his patent for “STEEL AND THE PROCESS OF MAKING SAME” was assigned to Isack W. Heyman and Sol. L. Zavon. Heyman and Zavon were co-partners doing business and trading as the Multi Steel Co. New York, N.Y. Could this have been made in that timeframe? In searching a little further, and in email exchanges with a couple of collectors, neither has seen this before. 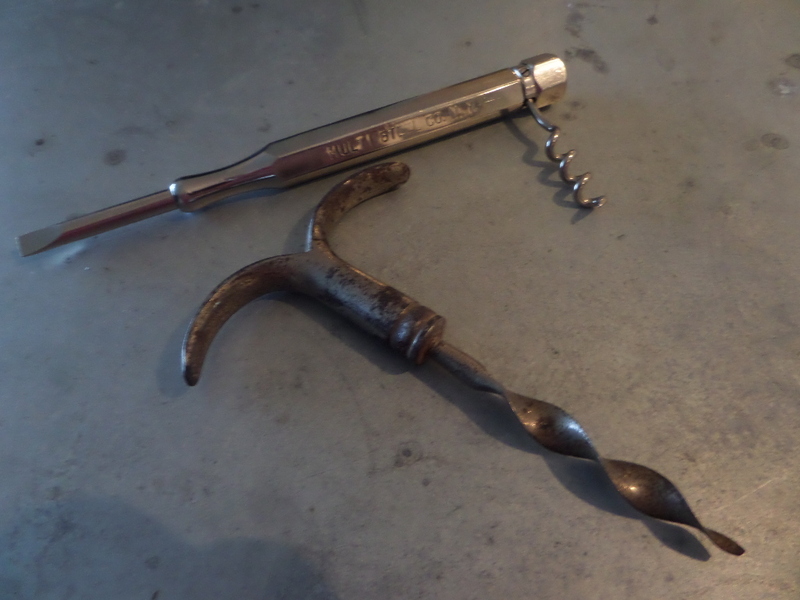 And, granted the corkscrew wouldn’t be of very much use, but it is certainly cool. The hunt for information will continue, but until then, a fun mystery. 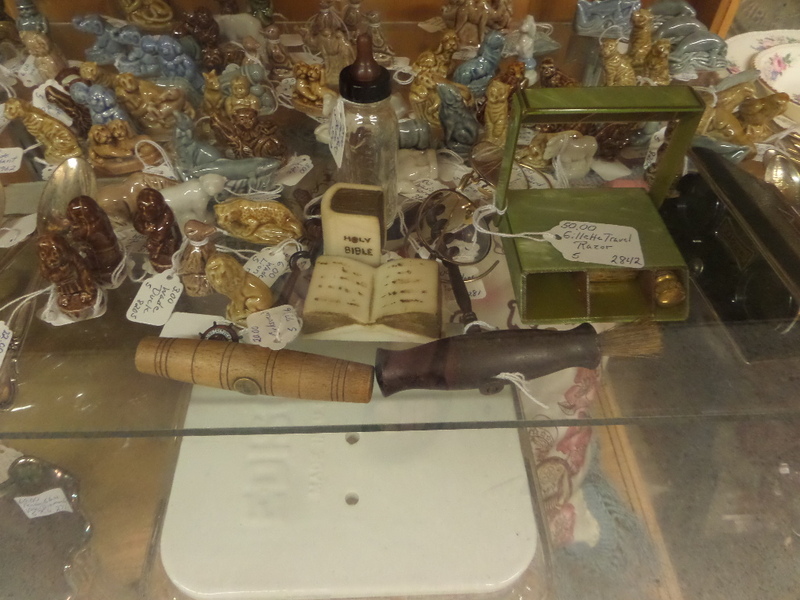 It is July 8th, the official start of the July Brimfield Antiques Show. And, I have opted not to attend. Good luck to all of the corkscrew folk who have made the trip! The lovely personal personal trainer and I, had a fabulous time with our friend Andy in Vermont. He and Blythe’s place (Blythe couldn’t be there) is awesome; an off the grid “camp” with lush woods, a pond, and tons of wonderful character. While we did have a few local adventures, it was nice to unplug and get away for a couple of days. (Yes, RL, no iPhone, no internet, no laptop, no electricity, no television, no phone, heck, no indoor plumbing). 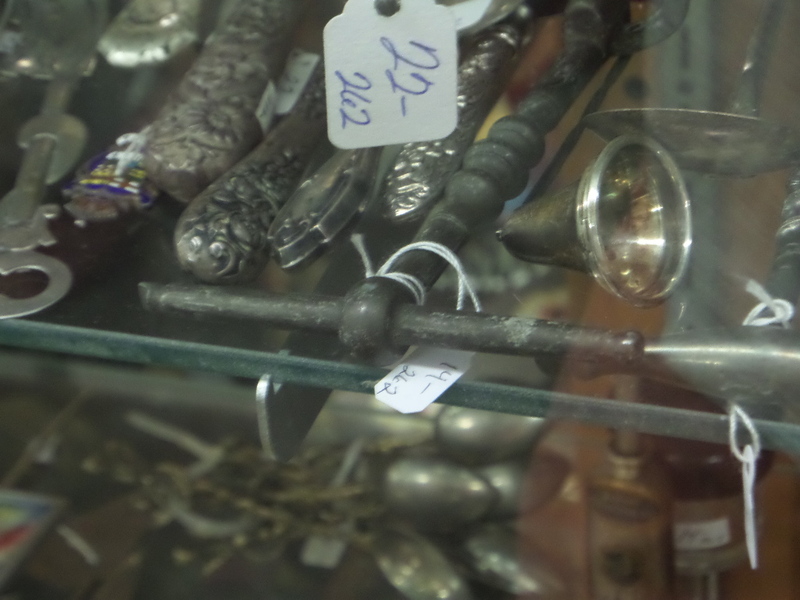 We did hit the Vermont Antique Mall on our of our day trips however, nothing spectacular to be found, but we did pick up a Clough ice pick with corkscrew, and also an old tooth extractor which is destined for eBay. A few others were left behind, for anyone heading to Queechee,VT anytime soon. So, we are back. The lovely is already back to teaching exercise classes and personal training clients, and after an 8+ mile run, I will be back on construction chores. If any corkscrews turn up in the mean time, I will report back here.